Below some pictures of one of our favourite installations in 2017. 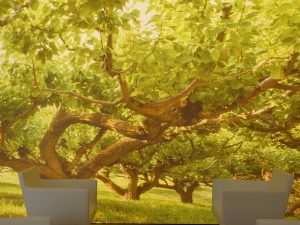 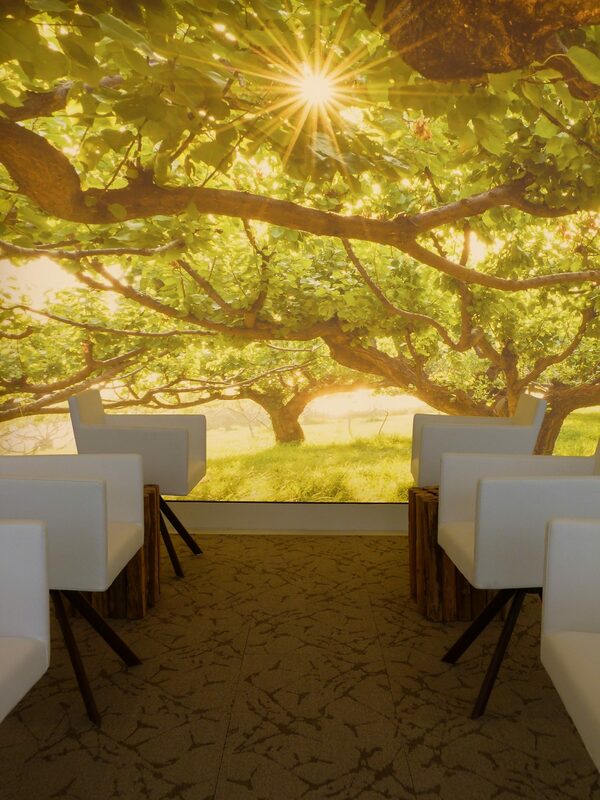 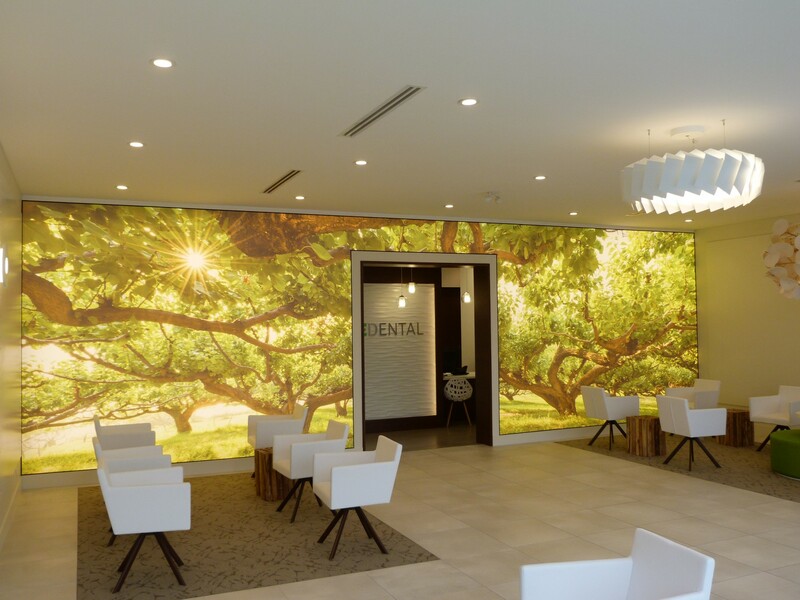 In this case not a Stretch Ceiling, but the same technology for a stunning illuminated wall feature with print of a local orchard from the beautiful Okanagan. 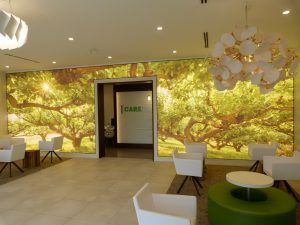 Visit CARE DENTAL in Kelowna to see it live, another great project from www.hatchdesign.ca . 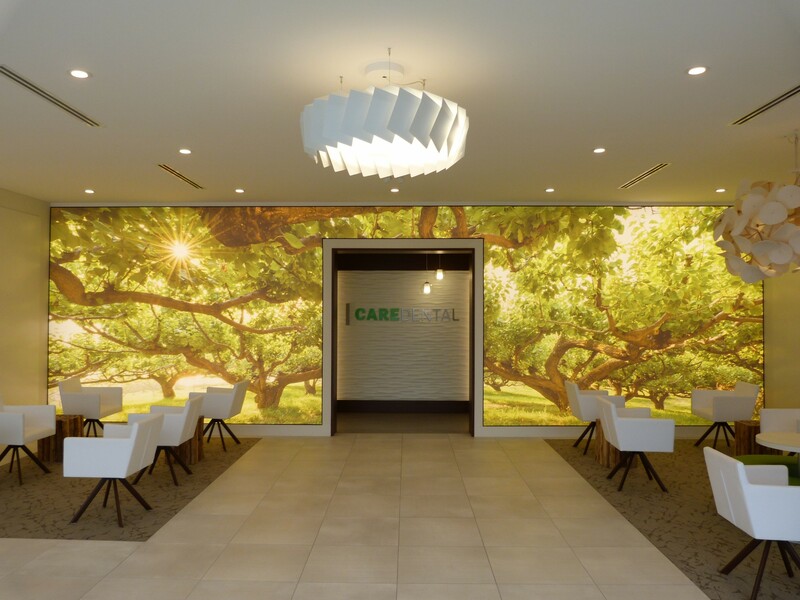 Care Dental is a spa-inspired dental practice where luxurious hospitality is paired with the latest in dental technology and an extra caring team of dental professionals.